Before German-born naturalist and scientific illustrator Maria Merian began to study the life cycle of butterflies, most people believed that they were “born of mud,” spontaneously generated out of the earth. Her interest in insects was unusual; they were considered "vile and disgusting" and hardly worth study. She was also one of the first naturalists to observe insects directly, giving her remarkable insights into the way they really lived. Although she emerged as one of the leading entomologists of her day, since she wrote in German and not in Latin, the official language of science at the time, her remarkable discoveries about the metamorphosis of insects were ignored by many scientists. She also raised eyebrows by funding her own, unofficial expedition to Suriname where she described many new insects and plants; a highly unusual venture for a woman of the period to undertake. Even so, her impact on science is undeniable: many of her classifications are still valid today and her exquisite paintings of plants, animals, and insects have been widely admired throughout the centuries. When you say the tongue-twister “she sells seashells by the seashore,” you’re actually paying homage to this English fossil hunter! Mary Anning began searching for fossils on the cliffs of Dorset, England, as a means for extra income, but at the age of 12, she made several discoveries that would rock the scientific world: the first known ichthyosaur fossil and the first two plesiosaur skeletons. Throughout her life, she made many observations that led to revolutionary new understanding of prehistoric creatures, but she could never participate in a full scientific life because of her gender. She was ineligible to join the Geological Society of London, although her discoveries were critical to driving scientific inquiry into new explanations for natural history and set the stage for Charles Darwin's articulation of the theory of evolution a generation later. It was not until many years after her death that her influence was recognized. In 2010, the Royal Society named her one of the top ten British women in the history of science. As the first woman in history to win a Nobel Prize — and the only person to win two Nobel Prizes in two different disciplines (chemistry and physics) — Polish-French physicist and chemist Maria Skłodowska Curie is one of the first names that comes to mind when thinking of women in science. When she and her husband Pierre Curie discovered radioactivity, it changed the way people saw the world forever: suddenly, it appeared that energy could appear as if by magic. 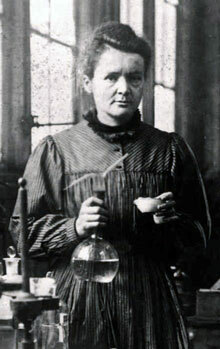 She also discovered two elements, polonium and radium, and the element curium is named in her honor. The world's first studies into the treatment of tumors took place under her direction and she founded the Curie Institutes in Paris and Warsaw, which to this day are leading medical research centers. Beyond her incredible individual contributions, Marie Curie has also left another enduring legacy — she has inspired generations of women to pursue their own dreams of scientific exploration and discovery. Today, a computer is a machine, but in Henrietta Leavitt’s day, the term referred to a group of female astronomers who had been hired by Harvard to analyze data from their observatory. Edward Charles Pickering, who hired Leavitt, assigned her to look at variable stars: these stars brightened and dimmed at predictable intervals. Using the data provided to her, Leavitt identified and classified over 2,400 of these stars — and discovered that there was a relationship between the period and the luminosity of a particular type of variable stars, the Cepheids. This discovery changed the way astronomers saw the universe: not only did it allow scientists to measure the distance to remote galaxies, but it also paved the way for a new understanding of the structure and scale of the universe. Lise Meitner, an Austrian physicist, made an extraordinary contribution to nuclear physics -- but she did not share the Nobel Prize for the discovery. The first woman professor of physics in Germany, Meitner frequently worked in partnership with Otto Hahn, a chemist. Even after Hitler came to power and Meitner was forced to flee to the Netherlands, she continued to collaborate with Hahn by correspondence. When Hahn’s experiments showed that the nucleus of uranium could break apart, it was Meitner’s physics that explained exactly what was happening -- nuclear fission -- but the Nobel Committee awarded the prize to Hahn alone. After the committee’s sealed records were made public and revealed how they had severely undervalued Meitner’s contributions, she received numerous posthumous honors, among them the naming of element 109 meitnerium. In her short life, African-American chemist Alice Ball revolutionized treatment for leprosy. Ball was the first woman and first African American to receive a Master’s degree at the University of Hawaii. While there, Dr. Harry Hollmann asked her for assistance analyzing chaulmoogra oil, which had shown promise as a treatment for leprosy — the cause of a growing public health crisis in Hawaii — but was difficult to use effectively. Ball developed a way to isolate the active ingredients of the oil, allowing them to be injected. Tragically, Ball died of an illness before she could publish her results, and another chemist later published without giving Ball credit. Fortunately, Hollmann ensured her name would be remembered, publicly declaring, “After a great amount of experimental work, Miss Ball solved the problem for me... [this preparation is known as]... the Ball Method.” Ball's treatment remained the best option for leprosy patients until the mid-1940s, and today, Hawaii recognizes the impact of her work by celebrating Alice Ball Day every four years on February 29. Growing up in what is now the Czech Republic, Gerty Cori knew that women were marginalized in science and medicine, but with the encouragement of her family, she was determined to study medicine. In 1922, she and her husband, Carl Cori, immigrated to the United States and began medical research. Although they were discouraged from working together as a married couple, their partnership was tremendously productive, resulting in dozens of papers. Together, they discovered the Cori cycle, which showed how the body uses chemical reactions to turn carbohydrates in muscle tissue into lactic acid, then remetabolizes it, and they identified the catalyst, the Cori ester. 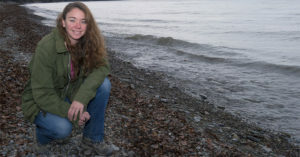 On her own, Cori also studied glycogen storage disease and became the first person to show that a defect in an enzyme can cause a human disease. The Cori cycle earned the couple the 1947 Nobel Prize, making Cori the first woman to receive a Nobel for medicine. Helen Taussig’s journey to a career as a physician wasn’t easy: she struggled with severe dyslexia, hearing loss from a childhood illness, and discrimination due to gender before she received her medical degree from Johns Hopkins in 1927. After overcoming these challenges, the American physician went on to found the field of pediatric cardiology. She is best known for discovering the cause of “blue baby syndrome,” a birth defect of the heart that had a very high mortality rate. After Taussig developed the concept for a repair procedure, she worked with two of her colleagues at the Johns Hopkins Hospital to design a technique which has saved the lives of thousands of babies. She continued her research work until the day of her death at the age of 87. When the American geneticist Barbara McClintock took her first course in genetics at Cornell's School of Agriculture in 1921, she was immediately fascinated and knew that she would remain "with genetics thereafter." In 1948, she discovered that segments of genetic code in maize could change positions on their chromosomes — but since scientists didn't believe that genes could change except by mutation, other researchers responded to her work with “puzzlement, even hostility." While she continued researching controlling elements throughout her career, she stopped publishing papers about them in 1953. It wasn't until the late 1960s that geneticists realized the significance of genetic transposition and the trailblazing nature of McClintock's research. McClintock became the only woman to win an unshared Nobel Prize in Physiology or Medicine in 1983. She once said, however, that her greatest satisfaction in life was discovering a secret that no one else had known: "If you know you are on the right track, if you have this inner knowledge, then nobody can turn you off," she once said. "No matter what they say." Before Rita Levi-Montalcini could even complete her education, the Jewish Italian woman was already facing limitations on her career from fascism and anti-Semitic laws. And yet when World War II broke out, she chose to stay in Italy and created a makeshift laboratory in her home so she could continue her work. After the war, she moved to the US, where she and a colleague discovered nerve growth factor, a protein which regulates the growth of cells and plays a particularly important role in the development of tumors. However, it took almost 30 years before the discovery was fully recognized by the scientific community and she was granted the Nobel Prize in Medicine. By the time she died, Levi-Montalcini was the oldest living Nobel laureate — and the first Nobel Prize winner to live to 100. A British chemist, Dorothy Hodgkin was a pioneer of X-ray crystallography, a method that allows scientists to study the three-dimensional structure of molecules. Her confirmation of the structures of penicillin and vitamin B12 won her the Nobel Prize in Chemistry in 1964; to this day, she remains the only British woman to have received a Nobel in the sciences. She was particularly determined to identify the structure of insulin; the complex but critical molecule had been a mystery since its discovery. In 1969, 35 years after she first received a sample of crystalline insulin and despite worsening rheumatoid arthritis that required her to use a wheelchair, Hodgkin finally confirmed its structure. She went on to spend the rest of her career assisting with insulin research and speaking for diabetes awareness. 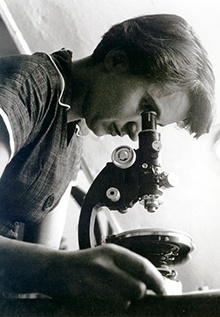 When Rosalind Franklin took her Photo 51 in 1952 — the first photo of DNA — she had no idea that she would become the center of a scientific controversy. The British chemist and accomplished X-ray crystallographer's image was shared without her permission with James Watson and Francis Crick, who were working on identifying the structure of DNA. Franklin's picture allowed them to deduce that DNA took the form of a double helix; however, in their paper about the discovery, they only mentioned Franklin in a footnote. While Watson, Crick and Maurice Wilkins received the Nobel Prize in 1962 for their contributions to science, Franklin had passed away due to cancer four years prior at the age of 37 and was not eligible for the award. Given how frequently Franklin's contributions to unlocking the secrets of DNA are overlooked, especially in schools, her story remains one of the most famous and egregious examples of a female scientist being denied credit for her work due to sexism. At a time when female scientists were often considered too fragile and emotional for fieldwork, Jane Goodall proved everyone wrong. The British primatologist is considered the world's foremost expert on chimpanzees after her 55-year-long study on the wild chimpanzees in Gomber Stream National Park in Tanzania. Goodall was the first person to observe tool creation and use — something previously thought to be exclusive to humans — in chimpanzees when they fished for termites with specially prepared sticks. 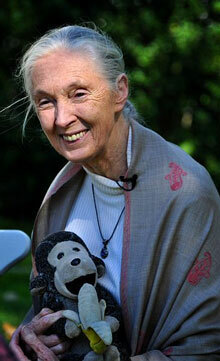 Goodall is also a dedicated advocate and activist on behalf of animal welfare and conservation causes. 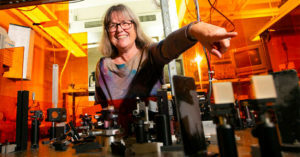 Equally importantly, she has inspired generations as an example of women in science. Her dream of traveling to Africa as a child was laughable at the time “because we didn't have any money, because Africa was the 'dark continent', and because I was a girl”; now, everyone knows about the watchful young woman who changed the definition of humanity. For more biographies of inspirational women scientists, visit our collection of Scientist Biographies. For toys and kits to encourage Mighty Girls who have an interest in science or technology, visit our blog Wrapped Up In Science: Top Science Toys for Mighty Girls or our full collection of Science & Math Toys. For biographies of women who've made their mark on the world in all fields, from activists to teachers to musicians, visit our Biography Collection.